I made this fun dessert for our Halloween party last year and wanted to show it to you all. Directions: Allow one of the two gallons to soften enough to mix it easily with a spoon. 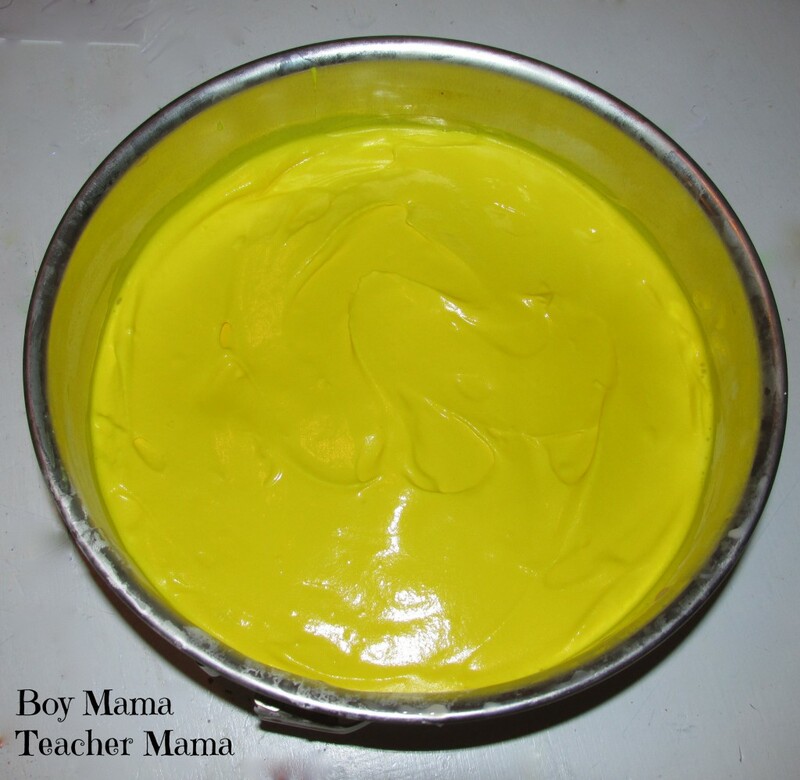 Scoop out half the gallon, add enough yellow food coloring to create a candy corn yellow. Spread the yellow ice cream in the bottom of a round baking pan. Place the pan in the freezer for at least 30 minutes. 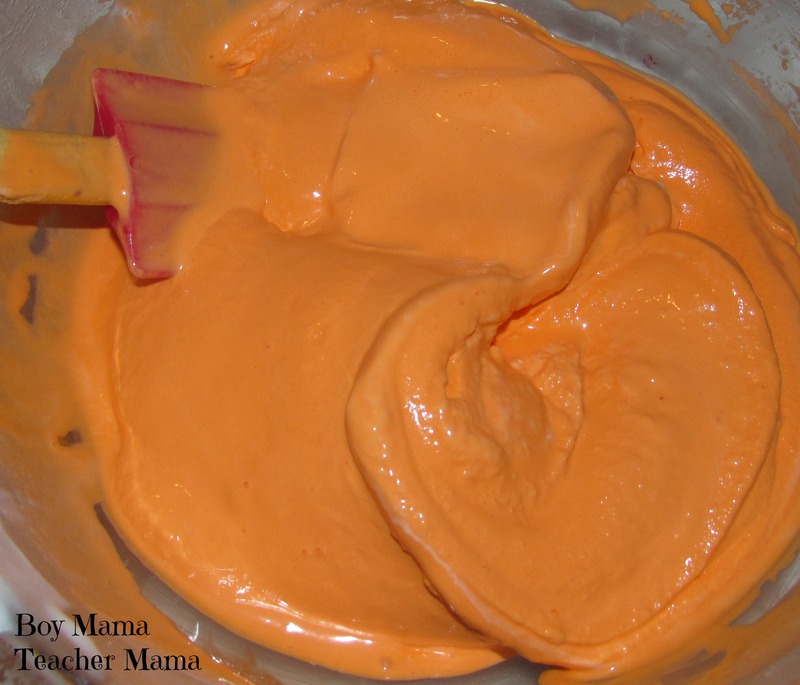 Meanwhile, repeat the same steps above using the orange food coloring to make the ice cream candy corn orange. Once the yellow ice cream has hardened, spread the orange ice cream on top of the yellow. 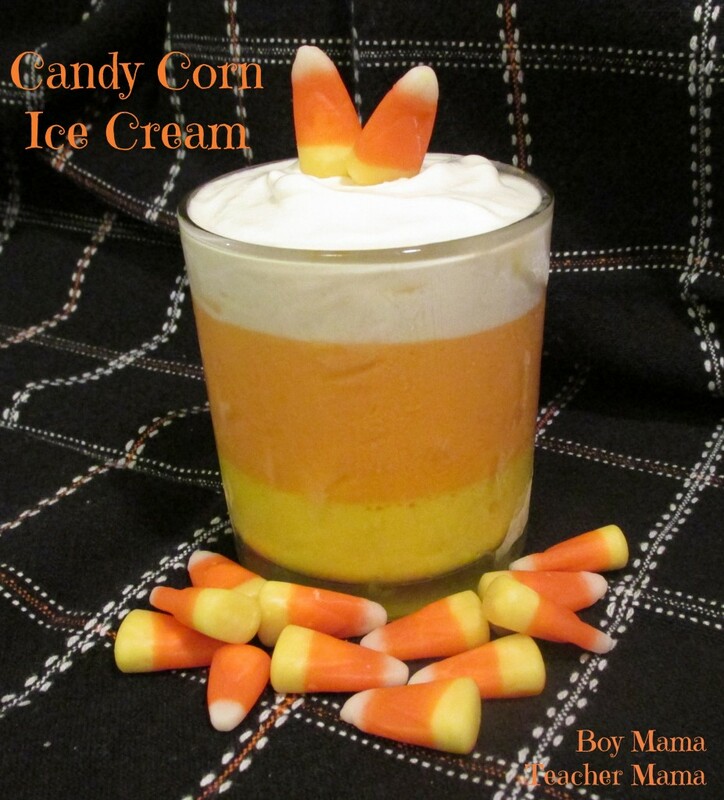 Use about twice as much orange ice cream as there is mostly in candy corn. Place the pan back in the freezer. Repeat the steps above one more time, but leave the ice cream white. When the orange has hardened, spread the white on top of the orange. Use a small amount of white as there is not much white in candy corn. Allow candy corn ice cream treat to freeze overnight. When you are ready to serve it, sprinkle some candy corn on top and slice it like a cake. It is absolutely delicious with chocolate brownies. Of course, you could use orange sherbet, lemon sherbet and vanilla ice cream and get the same look. My eaters are not fans of those flavors so the vanilla worked just fine! Option: Follow the same steps above, but instead of using a cake pan, use a large votive, add two candy corns to the top and serve each guest their own candy corn ice cream treats.